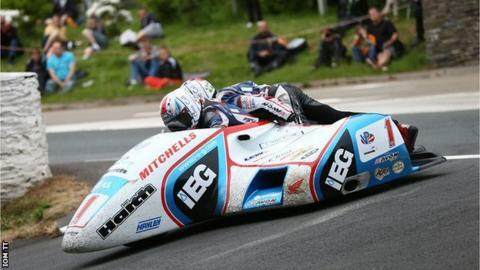 Brothers Ben and Tom Birchall will lead the field away in this year's Isle of Man TT sidecar races. The world champions will start at number one for both three-lap races, scheduled for 1 and 7 June. The Mansfield siblings have racked up eight wins on the Mountain Course since making their debut at the event in 2009. The Birchall Racing pair took the double at the 2018 races, setting a new lap record of 119.25mph. Speaking at the official press launch for the 2019 event, driver Ben said "consistency" was key to their continued success. He said there was "no way" teams could learn the whole of the 37.7 mile-long course in one year. "Each time you come back in theory you go quicker because you learn a little bit more," he added. "I wouldn't come if I didn't think we could go faster and do better." The Birchalls will start ahead of John Holden and Lee Cain, with the pairing of Tim Reeves and Mark Wilkes scheduled to be the third outfit to set off from the grandstand. Seventeen-times TT winner Dave Molyneux and new passenger Harry Payne will start at number seven. The 2019 Isle of Man TT races take place between 25 May and 7 June.